Most people are aware of the need to regularly change the oil on their cars. Many of us, however, aren't sure of the exact reasons for this requirement. Read on to learn about the top reasons to change your oil frequently. Some of them may surprise you. This is the basic reason that most of us already know about: frequent changes mean a healthier car with better longevity. If you'd like to keep driving your car past 100,000 miles, it is highly suggested that you change it every 3,000 miles or each three months, whichever comes first. Even if you're not currently using a car, it is important to maintain oil changes every few months since normal moisture levels can lead to contamination over time, even if you aren't driving the vehicle. Sometimes leaks can lead to contaminants such as coolant and gasoline infiltrating your car's oil. While these substances are obviously useful in their proper places, they can cause significant damage if they mix with your motor oil. Unfortunately, these are often silent leaks that inflict their damage before you realize the problem exists. A professional repair company may be able to detect the contamination and alert you to the leak. Even if you don't find out about the leak during your oil change, replacing the motor oil before the contamination has a chance to build up will help prevent your engine from being destroyed. 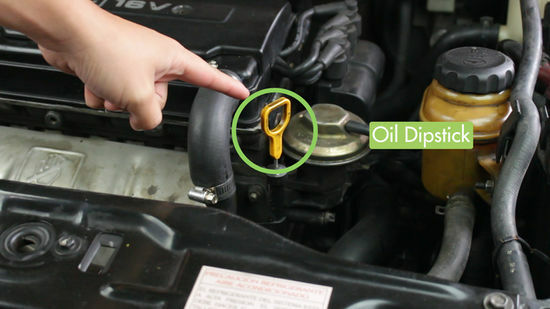 Oil acts as a lubricant throughout your engine system. Dirty oil loses its lubricating qualities over time. This means that even if there is still plenty of them in your engine, you can't guarantee that it is doing its job properly. Once oil stops acting as a lubricant, you'll see increasing amounts of wear and tear to your car. Unless the problem is resolved quickly, the life of your car will be significantly shortened. Dirty or contaminated oil doesn't flow properly. Sludge and build-up causes it to move slowly and may block its movement in certain areas. If it isn't able to move unobstructed throughout your engine, parts can jam and stop functioning altogether. In order to prevent this leading to a car breakdown, it is crucial to keep your oil clean, and this of course means frequent oil changes.